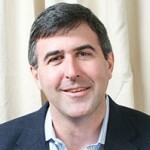 Court Cunningham is Yodle’s CEO. Yodle’s mission is to empower local businesses to find and keep their customers in the simplest, most profitable ways imaginable. Yodle currently has more than 40,000 local customers. You can find out more information about Yodle at www.yodle.com or by contacting the company at info@yodle.com or 877-276-5104. A recent study by Google and the National Association of Realtors showed that real estate-related searches on Google have grown by 253% over the past four years (source: realtor.org) indicating how important it is for real estate professionals to have strong online presence. 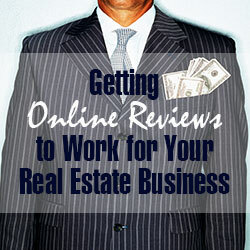 A key component to this presence is securing online reviews from your clients. Bear in mind that the buying decisions of 90% of consumers are influenced by seeing positive online reviews (source: 2013 Dimensional Research Survey), and 72% of consumers trust online reviews as much as personal recommendations (source: Local Consumer Review Survey). Despite the importance of online reviews, Yodle’s recent “Small Business and Online Reviews Survey” found that 55% of small businesses don’t get any reviews and another 24% don’t even know if they are receiving reviews. As online reviews become increasingly important to consumers, businesses are generally not responding to this trend despite reviews helping you gain additional credibility online, improve organic ranking, and find and keep more clients. Here are a few tips you can follow to ensure that you’re taking full advantage of this marketing opportunity. Take an inventory of the review websites out there that make sense for you to have a visible presence on. Consider all the different places that potential customers may try and find you. Aim to secure a reviews presence on both industry-specific sites such Trulia and Zillow as well as horizontal sites like Google+ Local, Facebook, Yelp, and Angie’s List. Make sure that your address, name, and other fields are consistent across all profiles. It’s also important to include photos on each profile to give your business a clear identity. Some people feel uncomfortable about asking their customers to do something for them but don’t let that stop you. If you’ve just spoken with a happy client, that’s the perfect opportunity to ask for positive feedback. You’ll find that your happy clients are often more than willing to write a review. Try to make it as easy as possible for them. For example, if you’re face-to-face with a client and you both have a few minutes, hand over your mobile device with the review website page already loaded so your client can write a testimonial right there on the spot. This makes the process easier for them and their minds are still fresh with what they want to say about your service. Also consider including a link to where you would like a review written in your email signature and on your business cards. If you’re getting reviews, make sure that you’re responding to them. According to Bazaarvoice Conversation Index, 70% of consumers have a more positive view of a company if they see them responding to an online review. If a happy client took the time to sing your praises online, this is a good opportunity to thank them. If you receive a less than stellar review, don’t ignore it or get defensive. It’s an opportunity to potentially turnaround a negative situation, clearly address the issues stated, apologize if warranted, and state what you will do to improve customer experiences moving forward. Whether it’s a good or bad review, you need to be active in the conversation. If you receive positive reviews put them on your website. It’s important to do this given that most potential clients are likely to visit your website before deciding whether to work with you. Consider highlighting select reviews on your homepage and setting up a page specifically for all testimonials that you receive. If you’re not currently tracking for reviews, now is the time to start doing so. How can you respond or know how your business is being perceived if you’re unaware of what’s being said or written about you online? Managing online reviews can often be time consuming. If you don’t have the resources to manage it on your own, consider using an outside vendor for support. Regardless of whether you fly solo or decide to get help from someone else, just remember that you literally cannot afford to ignore online reviews in this day and age.